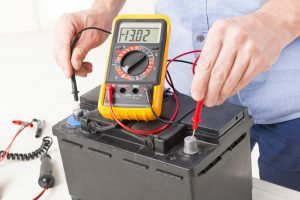 When you need to find out if a battery has juice – or how much juice is left in it – a battery tester is a very useful tool. But shopping for one can be challenging if you aren’t sure what to look for, what the reliable brands are or know what kinds of things make up a good battery tester. That’s why we have researched the best battery tester here, out of the thousands available on the web, to give you some direction on which battery tester to buy. Some of the things that were factored into these recommendations were features, benefits and battery tester reviews, as well as the history of the brand, the construction, the versatility of the tester and more. This is considered by us the best battery tester on the market! The best battery tester overall that we were able to find is the Schumacher BT-100 battery tester. This is a very solid-looking and feeling product, with a bright, clear display to show you the charge of your battery, with two color coded leads and a hard, black casing. This does come in both digital format and analog format, but the analog format is much less expensive. 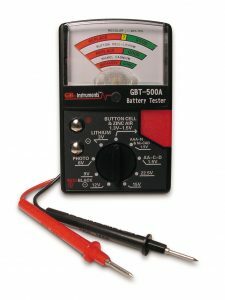 This battery load tester is perfect for testing 6-volt and 12-volt batteries and you can use it on everything from car batteries to marine batteries, with enough information to test your alternator and get the vitals of the battery that you need to decide just how good a battery is. 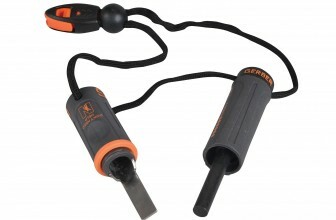 The battery clamps on this particular unit are spring-loaded and have extremely tight grips to prevent slippage. The solid construction, the features that this unit comes with, the versatility and the information like battery load, condition and starter motor draw make this our top pick for battery testers all across the board. This analog battery tester is the best product on the market for the money right now. If you are on a budget then this is the perfect product for you. This one actually might be preferable to the number one tester on our list for some people. That’s because it has more versatility and tests nearly all common batteries, from a 1.5 volt battery all the way to 22.5 volt photocell batteries. There isn’t as much information available (for the battery being tested) with this tester, but it is certainly worth the price and offers enough features to be comparable. 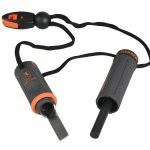 The price is the best thing about this product but it is also solid construction with easy to use leads. The leads in this case are pointed steel rather than clamps but they work perfectly for the common kinds of batteries that this unit tests. You can easily test batteries quickly and know whether or not they have enough juice to use or whether you should throw them out. This saves a great deal of money currently wasted by throwing out batteries that might still have a charge. If your budget is super tight and you aren’t able to go with either of the above options then you might want to go with this battery tester which is priced just right for those looking to spend as little as possible and still get a battery tester that will do the job. Obviously, there aren’t nearly as many features as the premium models and the construction isn’t as good, but all in all, this is a great battery tester. Some of the things that make the Amprobe the best battery tester and an amazing product for a tiny little price including the testing post that makes it simple to insert a battery and find out what it has remaining on it. 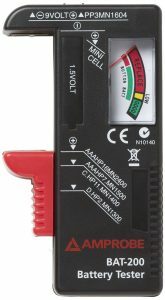 From 1.5 volt watch batteries to 9 volts, this battery tester is one of the easiest to use testers out there, with easy-to-read indicators that tell you whether a battery is good or whether it is low and will need to be replaced in the near future. If the battery is depleted it will show that as well so that you can replace it. There are many reasons that you might want to have a battery tester around. For one thing, people often waste time and money buying new batteries that they didn’t really need. When something goes wrong with an electronic device that runs on batteries, the battery is often the first thing to be blamed – and replaced. But testing it allows you to determine if it truly is the battery that has gone bad or if it something else entirely. Because of this, the battery tester will quickly pay for itself by allowing you to purchase fewer batteries. 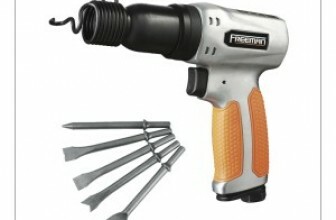 In addition, there are other uses that battery testers have. A good battery tester can not only test your vehicle battery, but also your alternator. All you have to have is a battery tester that shows the voltage and determines whether or not the voltage is higher when the engine is running. If that’s the case, you know your alternator is putting juice into the battery. Battery testers can come in handy, and you’ll be surprised how often you’ll use yours. So, how do you choose a battery tester? It requires understanding what battery testers are supposed to do and what the basic functions are, as well as knowing what the more advanced features look like and which of them you’ll actually need. Plus, you’ll want to know about the construction, size, lead style and much more. Here is what you need to know when it comes to shopping for battery testers. Voltage: This is probably the number one thing that you need to be concerned with when it comes to choosing a battery tester. You have to know what kinds of batteries you are going to be testing or the purpose of buying the battery tester in the first place. If you plan on using it mostly for car or boat batteries, you are going to need a different tester than if you are planning on mostly testing batteries that are in household electronics like AA and AAA. Generally, the voltage starts at about 1.5 volts and goes all the way up to just over 20 volts. If the biggest batteries that you are testing are vehicle or marine batteries then 20 volts is all you will likely need. Testing Lead Style: You also need to be concerned about the style of the testing leads. 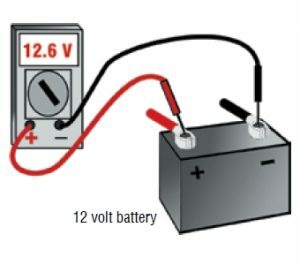 Some battery testers have clamps that fit onto the battery posts for 12-volt batteries and others have straight leads that are less sophisticated but still usable. Finally, there are battery docks that test only certain batteries. This is where knowing what you are going to use your tester for comes in. A clamp style tester may not fit on AAA batteries and the like and the testing docks are unable to accommodate large batteries like 12-volt. Information Provided: The information provided by the battery tester is another consideration. What do you need to know about the battery that is being tested? Do you need the voltage? Do you want to know what kind of a load your battery is already carrying? The information you need is vital to know up front before buying a battery tester. Unit Construction: The construction of the battery tester is something else that you’ll want to look at. Battery testers that are used outdoors on automotive and marine batteries should have solid construction and stand up to being dropped. With marine batteries in particular, you should make sure that the battery testers you look at are waterproof. Brand Recognition: Finally, brand recognition is something that you’ll want to be aware of but not necessarily rely on. There are some good brands with solid reputations but you should probably be more concerned with customer reviews. The Schumacher BT-100 is awesome among the battery testers on the market. If you are looking for a versatile, easy-to-use battery tester that will allow you to test almost anything, you want to choose this one. The Schumacher has great features that you won’t find on many of the other testers, particularly the lower priced ones that we’ve showcased here, but also on comparably priced models. This unit is packed with usability and allows you to find out a great deal of information about your battery – and not just the charge that it has left in it. This tester is an invaluable tool to a mechanic or avid boater that does their own repairs. So, why should you get this particular battery tester? Because it is probably the most robust battery tester on the market and you can use it for everything – even smaller household batteries although it’s a bit awkward. But versatility and information provided are two of the most important details when it comes to battery testers and this one has the most available options. Specifically intended for 12-volt batteries and 6-volt batteries. Has a load test of 100 amps for 12 volts and 50 amps for 6 volts. Supports up to 1000 CCA (cold cranking amps). Tests the load on the battery so you can see how much your device is drawing. Not only does it give you the voltage, but also the battery condition. Offers a charging system diagnosis. Shows you the draw on your starter motor. Manufacturer’s warranty – see product information for details. Easy to use rocker switch on the top of the unit. Tight, spring-loaded clamps that secure to your battery posts. This battery tester has the advantage over the others on this list (and many others on the market) of being able to easily test 12 volt and 6 volt batteries. In fact, it was designed for them. It is also solidly constructed and able to withstand the elements and being dropped. The information that it provides is also vital when it comes to marine and automotive and someone who works with batteries regularly will get a lot of use out of it. On the minus side, this battery is a little too well-designed for 12 volt and 6 volt batteries – because it is a little difficult to test regular household batteries. Ideally, it would have an adapter attached that could test the smaller ones more easily – and they do sell those adapters. But this isn’t really a hardship if your most important goal is to make sure that your car or boat battery is charged. Also, the cables are a little short on this unit and it needs to be fairly close to the battery to reach. So, what are customers saying about this battery tester? One of the reasons that we chose this as our top overall battery tester is the fact that the customer reviews are so strong. This tester has a 97% review rate of three stars or higher and nearly all of them are five-star reviews. The overwhelming majority of customers was extremely happy with the product and often commented on how much quality they were getting for the price that they paid. There were a few gripes, about the unit getting to hot (which is usual for large battery testers) and other minor complaints but almost all reviews were positive. There really isn’t much of a difference in value for the money when you compare this product with the overall pick. Both are remarkably good values but this battery tester does cost less and give you some terrific features. There are a few things missing on this unit that you’ll get with the Schumacher, but you probably won’t notice them unless you were specifically looking for those features. If you want a basic battery test that will test a wide variety – including your larger batteries, this might be what you are looking for. Let’s start with the reason to buy the Gardner-Bender model. The reason to buy this model over the others listed here is actually pretty simple – this is the only battery tester that is actually designed to test all of the normal batteries people want to test. Not only will this battery tester do 12 volt and 6 volt batteries, it will test all the way down to the 1.5 volt “watch battery” style. This is the most versatile of all of the battery testers that we’ve discussed here, but it’s not nearly as fully-featured as the Schumacher. Unit will test all of the common battery voltages from 1.5 volt to 12-volt. The most versatile of all of the battery testers featured here. Color coded, easy-to-use straight leads that do not require any fastening or clamping. Less than four ounces very compact design. 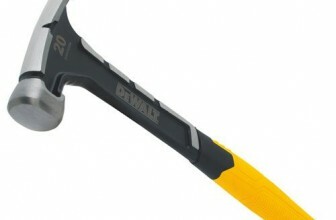 Sturdy and solid, very durable. Easy to use switch that allows you to switch the tester to the configuration for the battery voltage that will be tested. Eligible for Amazon free shipping with orders over $49. So, the terrific thing about this battery tester is still the versatility. I know we have discussed that aspect of the unit over and over again in this review, but there is no substitute for being able to test all of the batteries out there, particularly when the Schumacher will only test large batteries and the Amprobe is only for household ones. 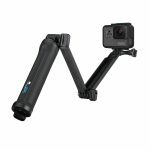 Plus, it’s great for on the go, light and small enough to keep handy anytime and the price is unbeatable, especially considering the quality construction. Of course, there are some things that could be improved about this unit. The leads are great but they make it difficult to test some batteries since you have to hold a lead in each hand, which means that you have to prop the unit up somewhere. Also, it does get hot on the larger batteries so be cautious of that. In addition, it doesn’t have all of the information that the Schumacher provides – like battery load and the like. It basically just tests to see how much juice a battery has, but it does a great job at that. What customers are saying about this battery tester is that it is one of the best testers they have ever used. Everyone is amazed that this unit is available for such a low price and almost all of their reviews are four and five stars with a total average rating of 4.6 stars after 589 reviews. Over 90% of the reviews are four and five star reviews so you can trust that this battery tester is a good product and will do the job you are buying it for. Now, we move onto the best battery tester for someone on a budget. If you need to squeeze your finances to get them to fit every month then this is the battery tester for you. For just a few dollars, you can test your smaller batteries and find out how much juice they have. This obviously means that this tester is intended for the more casual user, and that you may not be able to handle larger batteries with this. The features that come with the Schumacher are also lacking here, but if all you want is a basic battery tester and you are looking to save as much money as possible – this is your battery tester right here. Let’s get into the reasons you should get one of these. The reason to go with this particular model is because you like saving money – period. You also need to be willing to do without some of the more advanced features and be satisfied with a very basic battery tester. If all you want is to check your household batteries to see if they still have juice, this is the battery tester for you. Very simple display with primary colors that gives you three options – Good, Low and Replace. The needle swings through a meter so you can tell just exactly how low the battery is. An easy to carry, compact unit that is solid enough for household battery testing. Tests all of the standard household batteries out there including the 1.5 volt watch batteries and common remote control or other household electronics battery types – AA, D, C, AAA and 9 volt. Very compact tester with a dock that allows you to test batteries quickly and easily. Does not require a battery, as it gets its power from the battery that is being tested. This battery has many good things about it. It’s so inexpensive it’s almost ridiculous, it tests every possible household battery you could want and it will last for a long time because it is well constructed. The color coded display is much easier to read than battery testers with white backgrounds. The main advantage this has over other battery testers here is the price, however. Unfortunately, this battery tester does suffer from the limits of an inexpensive tester. In this case, that means that you can’t test larger batteries – you are limited to the batteries in your electronics. It is a very basic unit that does only one thing – tests household batteries for juice with no frills and no extras. Nearly 90% of people have rated this unit at four stars are higher and the majority of them rated it five stars. In short, people really love this battery tester and they love the price even more, if that’s possible. Some customers have mentioned that the recharge/replace indicator doesn’t always work if the battery is too dead, but other than that, people haven’t really had any problems with this battery tester. The reviews truly tell the story and reading through the satisfied reviews shows that nearly all who have bought this tester loved it and would buy it again. There are a few things to keep in mind when it comes to battery testers and batteries. First of all, there are so many electrical devices out there and so many different types of batteries that go with them, you are going to find it difficult to impossible to find a “universal” battery tester that has all of the features that you want. That being said, the Gardner-Bender model listed here has the advantage of testing all of the battery types while the others are on opposite ends of the spectrum. Another thing that you might want to keep in mind is that battery testers can sometimes get hot – especially if you are testing larger batteries. Go with a quality tester if you are planning to use it mostly on 12-volt batteries (or larger) like the Schumacher because some of the less expensive models will get too hot and could wear out much easier. If you need a battery tester for smaller batteries like household batteries then you don’t have to worry about this. Another thing to keep in mind is that you shouldn’t rely on CCA (Cold Cranking Amps) rating to choose a battery tester (nor is it a good way to choose a battery). You don’t need to worry about what the CCA rating is when it comes to battery testers because almost all will allow for the maximum CCA required for checking the juice in the battery. The battery tester that you need is going to depend upon what you are using it for and what kind of features you want. These battery testers have all been vetted by our experts and are the top choices on the market right now. They aren’t the only choices of course, but you would be hard-pressed to find a better product in each category. Figure out just what you are going to use your battery tester for and what features you need before you buy. For example, a mechanic might have more use for the load and starter testing functions of the Schumacher while the average person might be satisfied with the Gardner-Bender model. Knowing what you need before you begin is vital to the process of buying a battery tester.